Joseph, could you give more detail on your okra breeding process? It's a great story but I wouldn't know how to replicate it. Exactly what got planted in season 2, and 3? Thanks. I didn't intend to start an okra breeding project. The first year I planted okra, it was a package of seeds from a seed rack. I suppose that it was Clemson spineless. It did terrible for me. At the end of the growing season, most of the plants had died. Only one plant produced seeds. It got about ankle high before being killed by the fall frosts. The second year, I planted the seeds from the survivor. 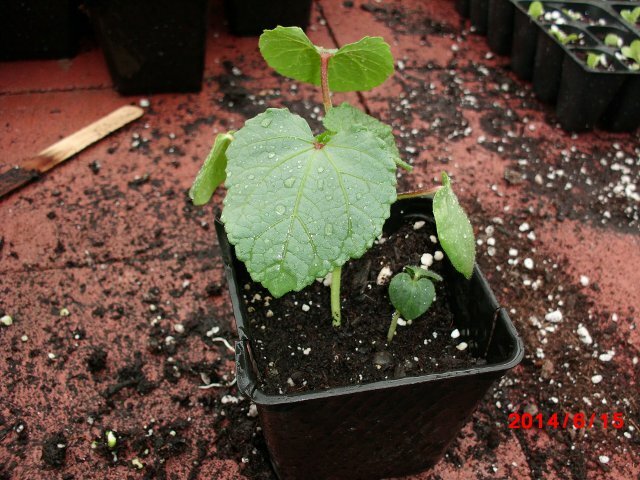 I also planted seeds from an okra landrace that was sent to me from Alan Bishop of Pekin Indiana. Some of my saved seeds and a few of Alan's seeds managed to grow to be about knee high. And a few of them produced seeds. One plant even survived the first fall frost!!! However it succumbed the next night when the temperature was about the same as it had been the previous night. The third year, I planted seed from the survivors. I also planted a few varieties received in swaps. Many of the new varieties did poorly for me not even getting ankle high before dying. Some of them got thigh high. 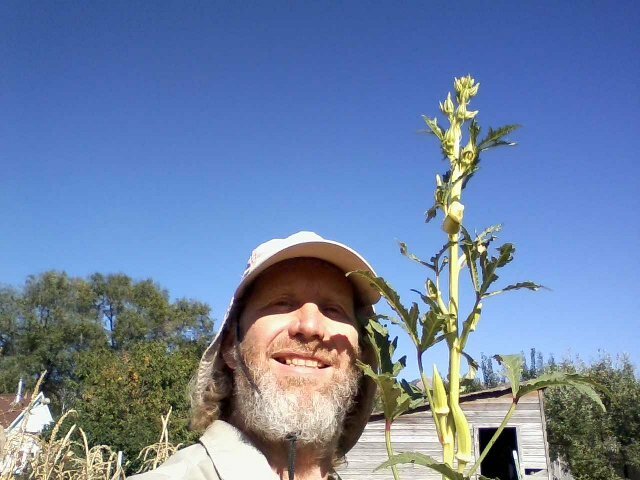 The tallest of my saved seeds grew to be taller than the farmer. 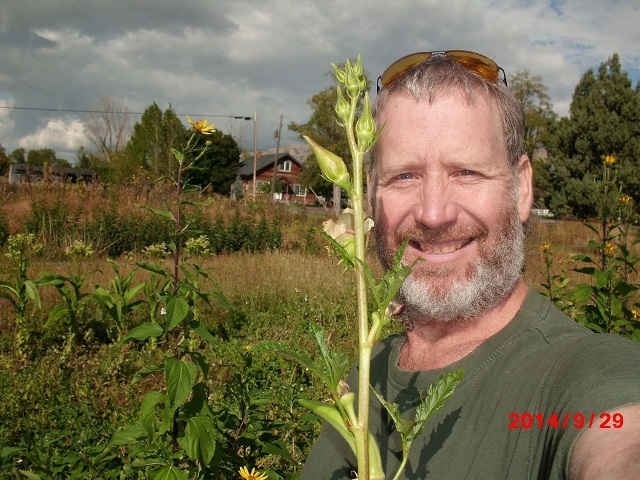 I was still picking okra at Halloween, two months after the start of our fall frosty weather. 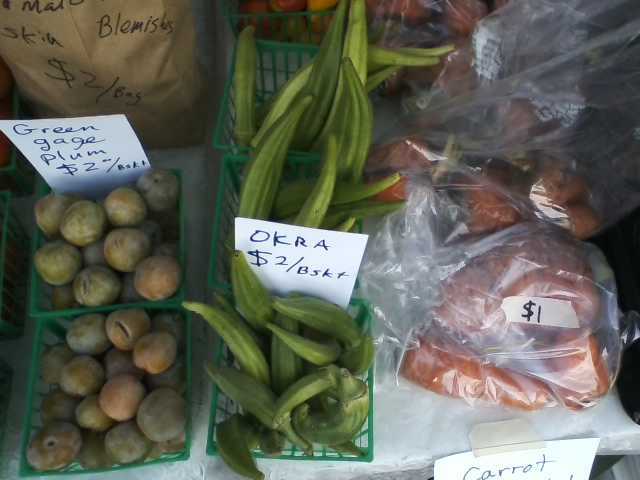 I was able to share okra at the farmer's market. The new varieties and my variety were grown together, to encourage the possibility of cross pollination. I changed my cultural practices in the third year, and started growing okra for transplant after danger of frost is past. The fourth year, I was a bit more selective in what I planted. So I planted seeds from the best performing plants from the previous year. I again started the seeds in the greenhouse. I goofed, because they don't like being potted up, but it worked out ok in the end. I also received a grant from Southern Exposure Seed Exchange. They sent me a lot of varieties to trial, and I received a number of varieties from swaps. So I planted two patches of okra. One containing only my varieties, and one containing the new varieties. The patches were close together, so they still could have exchanged pollen. The patch produced a tremendous amount of great okra to use for food and to share at the farmer's market. 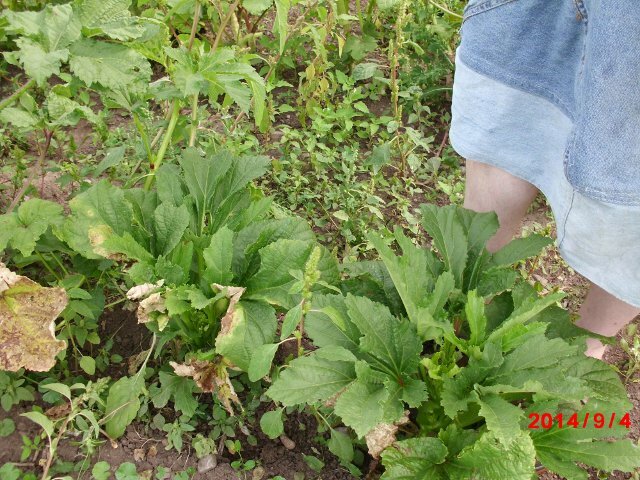 Among the new varieties, there was a lot of okra that only grew ankle to knee high. I ended up culling some of it early in the season. I ended up culling others late in the season when cool weather started. When I tilled my fields in the fall, I left the okra patch, because it was still producing food. I've made a big deal about the height of the plants. That's not the only trait that is important in okra. But a plant that is vigorous enough to grow to be 8 feet tall, is much more desirable to me than a plant the barely gets 9 inches tall. Bushy plants that are not as tall have the potential of producing lots of pods. Okra seems like one of the least inbred crops that I have worked with. The diversity within varieties is really pleasing to me. It gives lots of opportunity to select for vigor. For example, these two plants are the same age. One of them definitely needs to be culled.